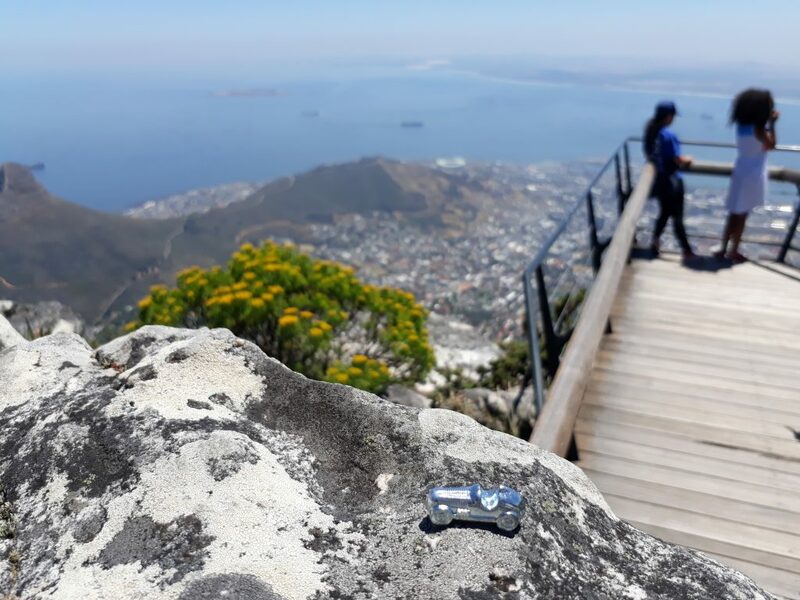 As a proudly born and bred Capetonian, we don’t always get to enjoy all the touristy spots that the Mother City is so well known for. 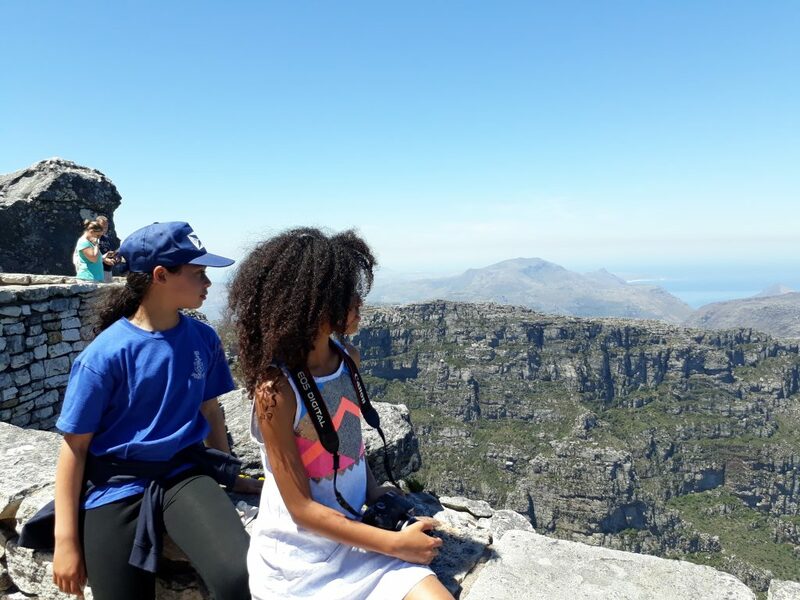 As soon as the Summer school holidays arrived however, I decided to take my daughter and her bestie out to explore and appreciate all that is so readily available to us. 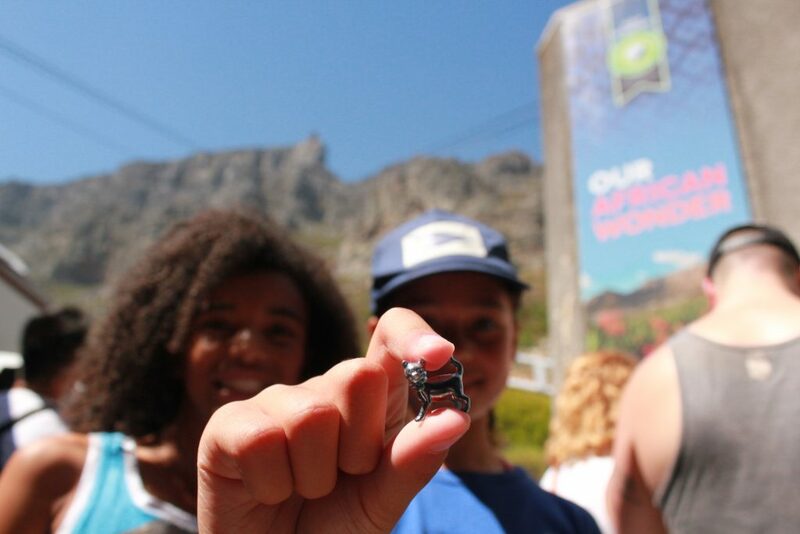 Our first activity to tick off our ‘Cape Town Big 7’ list was the beautiful Table Mountain Aerial Cableway, an icon which is now one of the New 7 Wonders of Nature. Once there, we stood in a well-coordinated and shaded queue. We expected these queues, as it was the height of Summer and of course, tourist season too. As we had pre-ordered our tickets online, we thankfully went directly into the ticketholders queue. There is also a separate queue for those who purchase on the day. My advice to everyone, always pre-order online and save yourself a lot of time and energy. Not too much longer, and a few snaps later of the beautiful city below us and mountain views above, we got to the Cable Station and got ready to board the cable car! Excitement levels were very high. Beat the queues and get there early. Also BOOK ONLINE! When we boarded the circular cable car, greeted by the friendly staff member who talked us through the experience, we felt the floor rotating. I of course, expected this, but my girls did not and lots of giggles and excited exclamations ensued. The 360° views from inside the car as we ascended were absolutely breath-taking and set us up for what we were to expect once we arrived at the top. On our way up, we also saw quite a few people hiking towards the Upper Cable Station – If you are up for a challenge, there are several hiking trails too. The most well-known is a well-marked trail, called Platteklip. This trail goes up the front of the mountain and you don’t need a guide to take you through it. You would need to be relatively fit for this hike though and always travel in a group! The view from the top. Taking in the beauty of the Mother City. After about four or five minutes, we arrived at the top, over 1000m above sea level. The view was spectacular, as one can expect, and the girls were in their element. After exploring for a short while, we stopped in at the Table Mountain Café for a bite to eat and refuel for the rest of our explorations on the mountain. 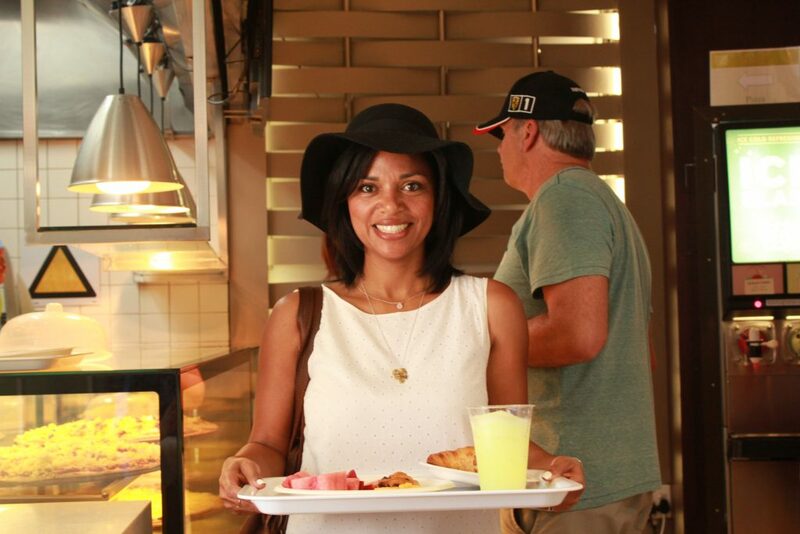 The café has a decadent selection of meals and snacks and we chose from delicious breakfast buffet options which is served until 11h30. It was good to know too that the Café is committed to being as green as possible. 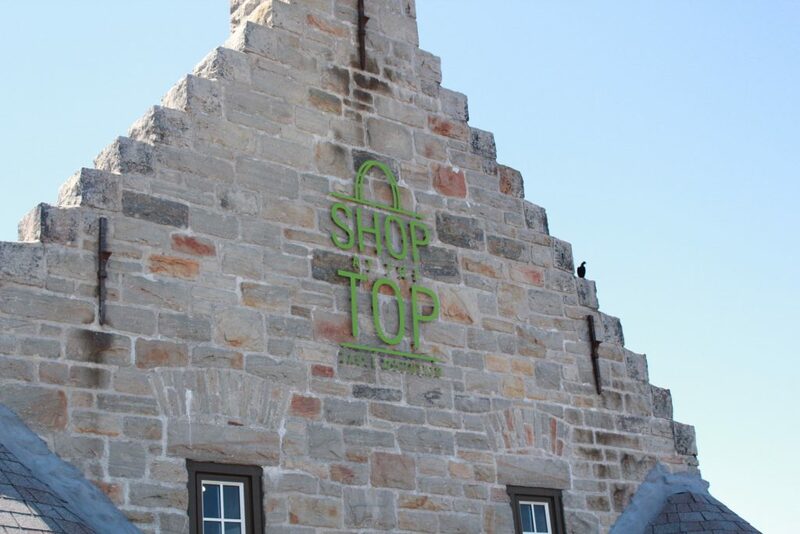 To conserve water, they have introduced compostable plates, cups and containers for food and beverage, made from organic compostable materials. We didn’t get a chance to pop in at the Wi-Fi lounge because, “adventures, mom!” but I had visited it on a previous occasion and can safely say that it is a cosy and convenient spot for those who want to escape for a bit, grab a coffee and snack, and make it your office for the day. After our delicious breakfast, we continued our walk on top of the mountain. 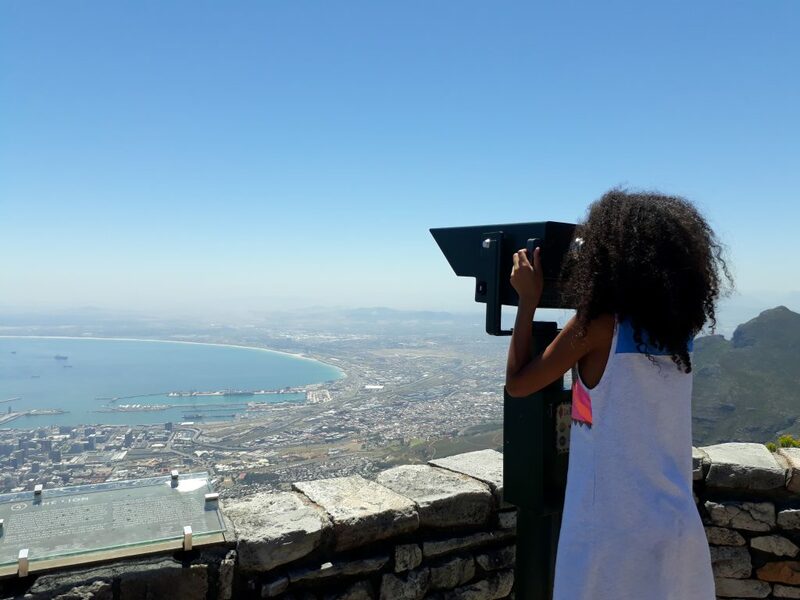 For those who don’t know, as per their site, “Table Mountain is part of a World Heritage Site, an important part of the Cape Floristic Region and the single richest floristic area in the world. There is a lot of fynbos vegetation on the mountain, with over 1 460 different species of plants. 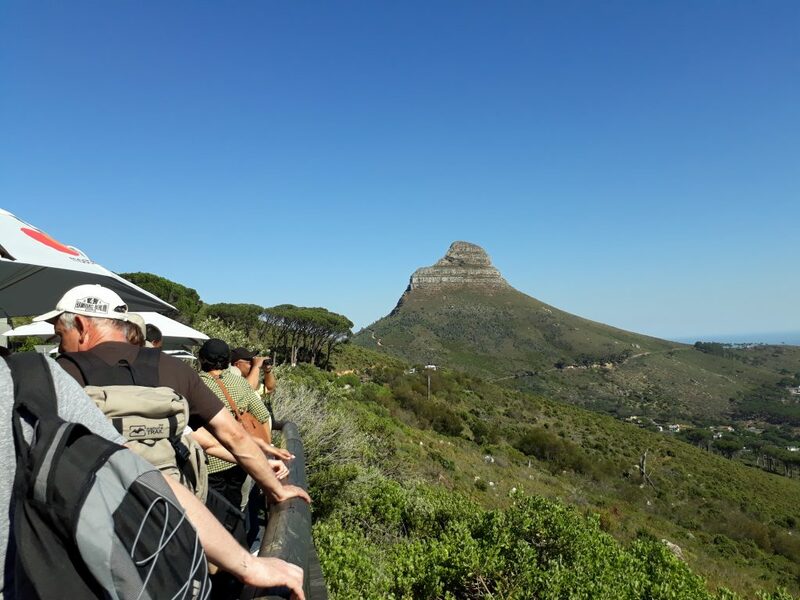 There are also plenty of dassies, lizards, insects and birdlife to be seen.” The sunbathing lizards were out in their numbers, which brought lots of happy smiles to the kids’ faces! 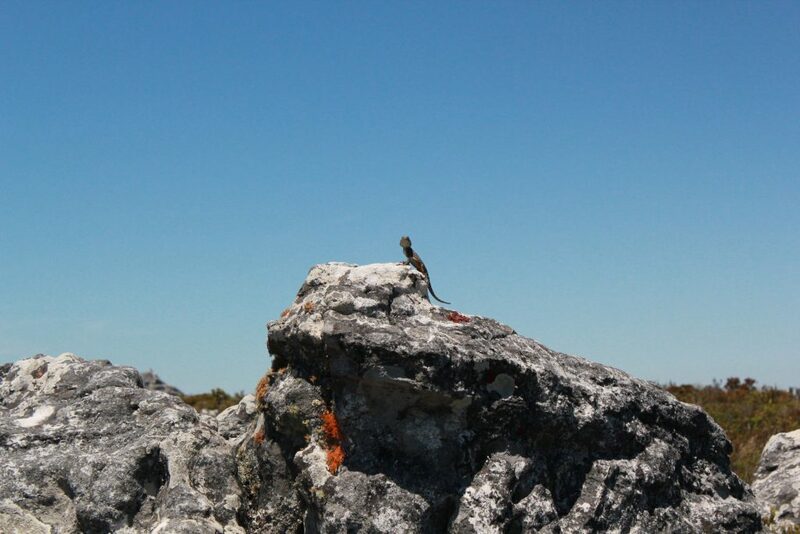 Lazy Lizards lounging about on top of Table Mountain. Just before the midday sun hit us, we decided it was time to head down the mountain again. So, back into queues of tourists, locals and hikers heading off the mountain we went. Not too much longer and we were aboard the descending cable car. The trip back, which is of course, just as breath-taking as the upward trip, left us with an accomplished and euphoric feeling. The girls were already planning on bringing friends up the mountain on a future visit to show them where they had been in the hopes that they would also enjoy the experience as much as they had. Cape Town is truly spectacular and has so much to offer. Panoramic views of the city… Simply breath-taking! 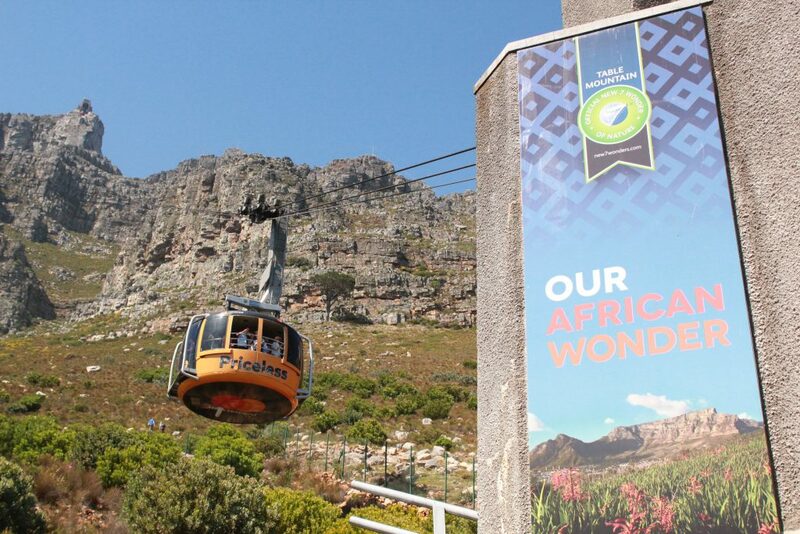 So, if you’re planning a trip up to Table Mountain, we highly recommend you add this to your list of places to visit. And if you’re concerned about the weather or queue status, you should always check the website for updates or call them +27 (0)21 424 8181.